Surgical Technology International Vol. 31 contains 59 peer-reviewed articles featuring the latest advances in surgical techniques and technologies. Background: Tibial component failure has been a problem in total knee arthroplasty, it is still undetermined how tibial resection depth affects the strength to support a tibial component. This study examined the relationship between the resection depth and the bone density and the mechanical strength to support the tibial component. Materials and Methods: Eight matched pairs of fresh, frozen cadaver lower legs were imaged with computed tomography to assess the bone density. A right tibia was resected at minimum resection level and a left tibia was resected at deep resection level. After the tibial component was implanted with cement on each tibia, it was loaded on a materials testing load frame to measure the stiffness and the load to failure. Results: The average bone density at the minimum resection level of the tibia was significantly higher than at deep level (p=0.0003). The average stiffness and load to failure of the proximal tibia were 1105 N/mm (range 889 to 1303 N/mm) and 5626 N (range 3360 to 9098 N). There was no statistical correlation between tibial resection depth and the axial stiffness (p=0.4107) or the load to failure (p=0.1487). Conclusions: Although the bone density at a minimum resection level was higher than that at a deep level, the strength to support the tibial component was not statistically higher at a minimum cutting level than at a deeper cutting level proportionally. Surgeons may not need to minimize a proximal tibial bone resection to maintain a stronger support for a tibial component. Does Atrial Septal Defect Increase the Risk of Stroke Following Total Hip and Knee Arthroplasty? Introduction: Atrial septal defect (ASD) is a common asymptomatic congenital heart condition that predisposes patients to paradoxical emboli in the cerebral vasculature. In this study, we evaluated the prevalence of ASD and risk of stroke for patients with ASD undergoing primary total hip arthroplasty (THA) and total knee arthroplasty (TKA). Materials and Methods: We used the New York Statewide Planning and Research Cooperative System to identify 258,911 elective primary THA/TKA between 2005 and 2014, including 140 patients with ASD. Logistic regression models calculated odds ratios (OR) and 95% confidence intervals (CI) and controlled for demographic and medical risk factors for stroke. Results: The prevalence of ASD was 54 per 100,000 patients undergoing THA/TKA. The rate of stroke within 30 days of surgery was 5.7% (95% CI: 2.5%, 11.0%) for patients with ASD, and 0.1% (95% CI: 0.1%, 0.1%) for all other patients. In regression models, the risk of stroke was 70 times greater (OR: 70.0, 95% CI: 32.9, 148.9) for patients with ASD compared to patients without this condition (p<0.001). Conclusions: Patients with ASD undergoing THA and TKA are predisposed to stroke in the postoperative period. Orthopaedic surgeons indicating patients for surgery and internists performing preoperative medical clearance should be aware of these risks and discuss them prior to surgery. The efficacy of pharmacological and surgical measures to reduce postoperative stroke within this patient population should be topics of future investigation. Bundled payment plans are being developed as a means to curb healthcare spending. Routine histology following total hip arthroplasties (THA) and total knee arthroplasties (TKA) is standard practice at many institutions. Recently, the value of this practice has been questioned as histologic diagnoses in THA and TKA rarely differ from the clinical diagnoses. The goal of this study is to identify discrepant and discordant diagnoses following THA and TKA at an academic medical center and to calculate the cost-saving potential in the setting of a bundled payment plan. A retrospective chart review was conducted on 1,213 primary THA and TKA performed by two orthopaedic surgeons from 2012 to 2014. The clinical and histologic diagnoses were compared and classified as concordant, discrepant, or discordant. Cost information was obtained from the institutional billing office. One thousand one hundred and sixty-six THA and TKA were analyzed in the final cohort. Nineteen (1.6%) diagnoses were classified as discrepant while none were discordant. The cost of histologic examination per specimen was estimated to be $48.56. The total cost of all arthroplasties was $14,999,512.46, of which histologic examination made up 0.31% of the total cost. The results of this study corroborate the results of previous studies and support the proposition that routine histologic examination is not cost-effective. The cost incurred to perform histologic examination will become a cost deduction from future bundled payments. The practice of sending routine histologic specimens following TJA should be decided upon by the operating orthopaedic surgeon. Introduction: The purpose of this observational study was to investigate and analyze the social media presence of both patients and surgeons in relation to pediatric scoliosis. First, patient Instagram (Instagram, Inc., San Francisco, California) posts were evaluated for 1) media format; 2) timing in relation to surgery; 3) tone; 4) perspective; 5) content; and 6) subject reference. To analyze reciprocal engagement, the presence and activity of pediatric scoliosis surgeons at five major academic centers were subsequently analyzed on Instagram, Twitter (Twitter Inc., San Francisco, California), and LinkedIn (LinkedIn Corporation, Sunnyvale, California). Materials and Methods: A search of public Instagram profiles was performed over a one-year period from February 2016 to February 2017. Posts related to pediatric scoliosis were selected for analysis using a hashtag search with 30 related terms. A total of 982 posts were retrieved, with 669 posts meeting the inclusion criteria. Each post was then evaluated for timing, tone, perspective, and content using a categorical scoring system. An additional analysis was performed using academic orthopaedic hospitals’ websites, in which the names of scoliosis surgeons were found and searched for on Instagram, Twitter, and LinkedIn. Their profiles were analyzed for level and length of activity, number of followers or connections, and references to clinical practice. Results: A total of 669 posts related to scoliosis were analyzed, the majority of which were temporally related to non-operative (74.7%) or post-operative (21.8%) settings. Patients (33.3%), friends and family (34.4%), and professional organizations (23.8%) were the most active contributors. The vast majority of posts were positive in nature (88.9 %) and highlighted the patient experience (79.2%), specifically related to bracing (33.1%), activities of daily living (31.7%), and surgical site or x-rays (25.5%). Of the social media sites analyzed, surgeons were found to have the highest presence on LinkedIn (55% have accounts with a mean of 175 connections) compared to Instagram (8%, 57 followers) and Twitter (33%, 61 followers). Surgeons were also noted to have more information regarding their practice, training, and clinical skills on LinkedIn. Conclusions: An analysis of Instagram posts related to scoliosis showed that the majority were shared by patients in the non-operative period and overwhelmingly had a positive tone. The content of the posts focused mainly on brace wear, activities of daily living, and post-operative appearance or x-rays. This information provides further insight into what patients deem important regarding pediatric scoliosis care. Analysis of the social media presence of scoliosis surgeons showed that they have an underwhelming presence on Instagram and Twitter, but are more active on LinkedIn, a site geared more toward professional development and networking than other social media options. Introduction: Total hip arthroplasty (THA) is an increasingly common procedure in the United Kingdom and incurs vast costs, with a mean length of stay (LOS) of 5.5 days. Reducing LOS plays a key role in improving cost-effectiveness, morbidity, and patient satisfaction following many orthopaedic procedures. The aim of this study was to identify attributes in patients with the shortest LOS following THA, with a view to targeting those with the potential for early discharge. Materials and Methods: 1280 THA cases over one year at one institution were reviewed in a retrospective case note study. Of these, 131 patients had LOS≤2 days. Various factors (age, gender, American Society of Anesthesiologists (ASA) score, primary diagnosis, body mass index (BMI), socio-economic status) were compared between this group and the rest of the cohort. Further characteristics of the short LOS group were also explored to identify trends for future study. Results: Lower age, male gender, and low ASA grade were significantly associated with the short LOS group (all p<0.001). BMI, primary diagnosis, and socioeconomic status showed no significant differences. Short LOS patients were also noted to have few comorbidities, family at home, and independent transport. Conclusion: Younger age, male gender, and lower ASA grade are associated with early discharge following THA, and could be used to identify patients suitable for early discharge. Does Obesity affect Outcomes in Patients Undergoing Innovative Multi-modal Physical Therapy Following Primary Total Knee Arthroplasty? Introduction: Knee stiffness following total knee arthroplasty (TKA) is a common complication, especially in obese patients. The initial, non-operative treatments for this complication includes splinting and physical therapy. If these measures fail, manipulation under anesthesia (MUA) or surgical exploration can be considered to restore range of motion (ROM). However, it is generally desirable to avoid these procedures. For these reasons, newer physical therapy protocols have been developed. However, it is unknown whether these protocols are efficacious for obese patients. Therefore, the purpose of this study was to evaluate and compare: 1) ROM; 2) the rate of MUA; 3) number of physical therapy visits; and 4) costs in patients who underwent innovative multimodal physical therapy (IMPT) and were either obese or non-obese. Materials and Methods: A review of a consecutive series of patients undergoing TKA at a single center within a three-year period was performed. All patients received IMPT post-TKA. Patients were divided into obese (body mass index (BMI >30kg/m2) and non-obese (BMI <30 kg/m2) groups. One-hundred and forty-nine patients underwent TKA and had a mean age of 67 years (range, 42 to 88 years). There were 48 patients in the non-obese group and 101 in the obese group. The obese group was significantly younger (mean, 60 years; range 38 to 54 years vs. mean, 69 years; range, 50 to 88 years), with a similar gender distribution. Comparisons of ROM, MUA, number of physical therapy visits, and costs were performed using Student’s t-tests and Chi-square tests as appropriate. Cost-analysis was also performed based on the number of visits to physical therapy (PT). Results: At latest follow-up, there were no significant differences in mean flexion (mean, 115º, range, 90 to 130º vs. mean, 113º, range 60 to 130º) and extension (mean, 0.81º, range, 0 to 10º vs. 0.54º, range 0 to 10º, p=0.469) between the two groups. The obese group had a 14% (n = 12) rate of MUA compared to 2% (n=1) in the non-obese group (p=0.045). Obese patients had a significantly higher number of mean visits to PT. There was significantly higher mean healthcare costs in the obese (mean, $3,919, range $1,043 to $11,749) as compared to the non-obese (mean, $2,950, range $741 to $7,865) group. Discussion: Although both cohorts have similar mean ROM at final follow-up, the obese cohort had a significantly higher proportion of patients who underwent MUAs following TKA as compared to non-obese patients, despite IMPT. At latest follow-up, the ROM achieved between the two groups was similar. Obese patients required more PT visits resulting in significantly higher mean healthcare costs. New onset postoperative atrial fibrillation (AF) is the most common perioperative arrhythmia in the elderly. The incidence after total joint arthroplasty is much lower than other non-cardiac surgeries. Since postoperative atrial fibrillation can cause increased length of hospital stay, mortality, and healthcare costs, it is critical to focus on prevention and prompt management. New onset atrial fibrillation is treated with rhythm control for patients who demonstrate hemodynamic instability or refractory to rate control measures. Electrical cardioversion is an effective option for unstable patients with known complications. However, there is limited data on orthopedic problems after cardioversion. A unique case is reported presenting postoperative total hip arthroplasty (THA) dislocation after electrical cardioversion for new onset atrial fibrillation in the postanesthesia care unit (PACU). Due to an increasing elderly population coupled with a growing obesity epidemic, there has been an increased prevalence in cardiovascular and musculoskeletal diseases. This has led to an increased burden in healthcare expenditures, now estimated to be over 17.8% of gross domestic product. As a result, physical activity has been increasingly encouraged due to its potential prophylactic effects on health. Recent reports have demonstrated a relationship between physical activity and body mass index (BMI) on cardiovascular and musculoskeletal health. However, the effect of the combination of the two have not been reported. Therefore, the purpose of this review was to assess the effect of various levels of physical activity on: 1) cardiovascular disease risk; and 2) the development of musculoskeletal disease (osteoarthritis [OA]) when accounting for various levels of BMIs. A total of 143 abstracts were identified for cardiovascular health and 55 abstracts for musculoskeletal health. Upon review, 11 reports were included for final evaluation. Despite patient BMI, physical activity was associated with a decreased risk of cardiovascular events. Additionally, moderate levels of physical activity were demonstrated to be protective against the development of OA; however, the levels of physical activity necessary to be beneficial were not fully elucidated. This suggests that the prophylactic effects of physical activity were maintained despite patient BMI. Future studies are needed to explore the appropriate levels of physical activity for optimal effectiveness when stratifying by patient BMI. Patients suffering from quadriceps muscle weakness secondary to osteoarthritis or after surgeries, such as total knee arthroplasty, appear to benefit from the use of neuromuscular electrical stimulation (NMES), which can improve muscle strength and function, range of motion, exercise capacity, and quality of life. Several modalities exist that deliver this therapy. However, with the ever-increasing demand to improve clinical efficiency and costs, digitalize healthcare, optimize data collection, improve care coordination, and increase patient compliance and engagement, newer devices incorporating technologies that facilitate these demands are emerging. One of these devices, an app-controlled home-based NMES therapy system that allows patients to self-manage their condition and potentially increase adherence to the treatment, incorporates a smartphone-based application which allows a cloud-based portal that feeds real-time patient monitoring to physicians, allowing patients to be supported remotely and given feedback. This device is a step forward in improving both patient care and physician efficiency, as well as decreasing resource utilization, which potentially may reduce healthcare costs. IIn-vivo investigation of tendon mechanical properties in healthy subjects using Shear Wave Elastography (SWE) techniques is a relatively new field of study. This work aims to evaluate the elastic properties of the patellar tendon in various knee range of flexion. Twenty healthy adult subjects were enrolled in the study. Shear wave speed (SWS) in the patellar tendon was measured in three different positions: Knee extended, knee semi-flexed (30°), and knee flexed (90°). Mean shear modulus was 50.9 +- 33.1 kPa in knee extension position, 137.5 +- 50.7 kPa in 30° flexion position, and 226.5 +- 60.3 kPa in 90° flexion position. The lowest shear modulus was obtained at rest with the knee in a fully extended position. These results are in agreement with those previously reported on Achilles tendon and triceps muscles. Shear modulus values obtained in our study could be considered as baseline values for further investigations in adults. Introduction: The Taperloc® Complete femoral stem (Zimmer Biomet, Warsaw, Indiana) builds on the widespread clinical success of the original Taperloc design used since 1982. 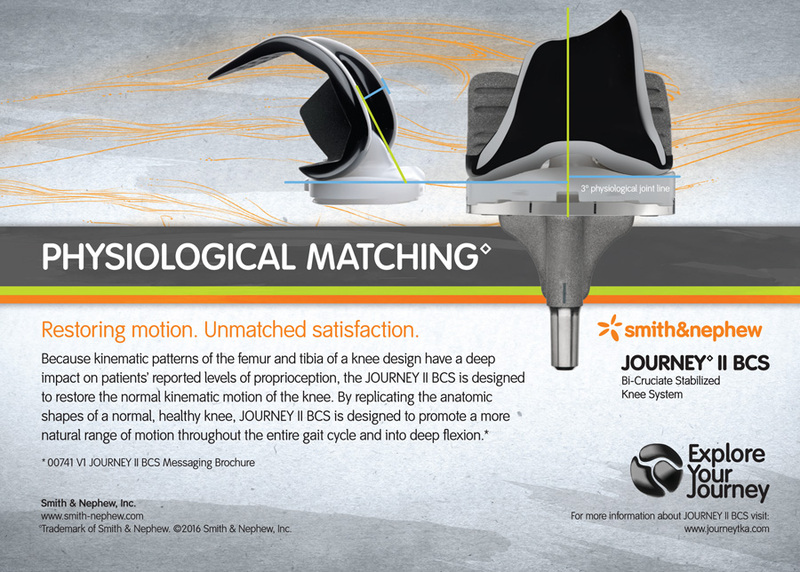 Enhancements to the Complete design include a lowered caput-collum-diaphyseal (CCD) angle from 138° to 133° for improved offset, optimized neck taper with polished neck flats to increase range of motion, reduced distal geometry to improve proximal canal fill, and gradual off-loading that is the goal of tapered geometry. A retrospective review was conducted to assess our early experience with the updated design. Materials and Methods: A query of our practice’s arthroplasty registry revealed 97 consented patients (103 hips) who underwent primary cementless THA performed with a Taperloc® Complete femoral component between November 2010 and March 2011. A high offset option, accomplished by a constant 7.8mm medial shift of the trunnion, was utilized in 94 hips (91%). Mean age was 61.8 years and body mass index (BMI) was 31.3 kg/m2. Underlying diagnoses were osteoarthritis in 96 (93%), four avascular necrosis, two post-traumatic arthritis, and one acute fracture. Results: Mean follow-up was 5.3 years (2–7). Harris hip scores improved from 53.6 preoperatively to 87.9 at most recent. One stem was revised for periprosthetic fracture. Other reoperations were one cup revised for iliopsoas impingement, one lateral femoral cutaneous neurectomy, and one incision and debridement for a non-healing wound. Postoperative radiographs revealed satisfactory position and alignment of components with no radiolucencies observed in all patients with no evidence of osteolysis, distal hypertrophy, or pedestal formation. Conclusion: In this group, good results with a low frequency of complications and stem revision were achieved with a tapered titanium porous plasma-sprayed femoral component with updated design features. No aseptic loosening or osteolysis occurred. Radiographic findings were excellent in all hips. Introduction: Managing postoperative pain can be challenging for arthroplasty surgeons. While pain control modalities, such as adductor canal blockade (ACB), have been proven effective, the multifactorial nature of pain perception may serve as an obstacle for optimizing pain control. This study assesses the effect of patient pre-operative physical status on patient perception of pain. Specifically, we compared 1) lengths of hospital stay (LOS), 2) pain levels, and 3) opioid consumption in patients receiving total knee arthroplasty (TKA) who presented with an American Society of Anesthesiologists physical status score (ASA) of 2 and 3. Materials and Methods: A single hospital, single surgeon database was reviewed for patients who had TKA between January 2015 and April 2016. Only patients with an ASA class of 2 or 3 who received ACB were analyzed. This yielded 106 patients with a mean age of 63 years, comprised of 36 men and 70 women. Patients were stratified into those with an ASA class of 2 (n= 58) and those with an ASA class of 3 (n= 48). Electronic medical records were reviewed to obtain demographic and endpoint data. Pain was quantified using Visual Analog Scale (VAS). Continuous variables were compared using the student’s t-test and analysis of variance, while categorical variables were compared using chi-square analysis. Results: There was no significant difference found between the two groups in LOS (2.25 days vs. 2.19 days; p=0.805), VAS scores (4.95 vs. 5.75; p=0.306), and opioid consumption on day 0 (17.77 morphine eq vs. 23.49 morphine eq; p=0.233) and day 3 (9.11 morphine eq vs. 19.87 morphine eq; p=0.100). However, patients with an ASA score of 2 had a significantly lower opioid consumption on day 1 (32.20 morphine eq vs. 52.70 morphine eq; p=0.049), day 2 (19.21 morphine eq vs. 40.71 morphine eq; p=0.018), and overall (78.30 morphine eq vs. 135.77 morphine eq; p=0.024). Conclusion: Despite the effectiveness of ACB in controlling pain, patient pre-operative status may affect perception of pain. This study demonstrates that patients with a higher ASA physical status classification consumed more opioid medication postoperatively, despite having similar pain scores and lengths of stay to those with a lower classification. Future studies should assess all ASA classifications and stratify for preoperative opioid consumption and tolerance as a possible confounder. Introduction: Patients who develop acute kidney injury (AKI) have an increased risk for progression to chronic kidney disease, end-stage renal disease, and increased mortality. The outcomes of total knee arthroplasty (TKA) patients who develop AKI have remained controversial. The purpose of this review was to summarize and identify the current literature focused on 1) major risk factors, 2) short-term outcomes, and 3) costs associated with the development of perioperative AKI after TKA. Materials and Methods: A literature search was performed using PubMed and Ovid to find literature relevant to AKI in TKA. All abstracts found via literature search were screened for relevancy to the study topics: (1) risk factors, (2) short-term outcomes, and (3) cost. Results: A total of 447 abstracts were initially identified. Irrelevant abstracts and those not in English were excluded from the study (n=336). Forty-five papers focused on risk factors associated with AKI, six papers focused on short-term outcomes, and seven discussed cost savings. Increased body mass index, metabolic syndrome, perioperative antibiotics, antihypertensive medications, and antibiotic-impregnated cement spacers are amongst the many modifiable patient and drug-induced risk factors associated with AKI after TKA. Perioperative renal injury is associated with increased inpatient and long-term mortality with increased length of stay and extended care facility discharge. Conclusion: Increased length of stay and comorbidities have shown higher cost utilization and readmission rates. Inpatient and long-term complications and mortality are associated with postoperative AKI and a multidisciplinary perioperative approach is necessary to appropriately identify and, ultimately, prevent patients at higher risk for acute renal failure. Venous thromboembolism (VTE) is a serious complication that can occur after total hip and knee arthroplasty, and can potentially lead to significant morbidity and even mortality. While various modalities have been used to prevent VTE development, the medications can be associated with a number of adverse events. Therefore, mechanical prophylaxis with pumps and compressive devices has been used more frequently alone, or in combination, with medications. Therefore, the purpose of this study was to review the current literature on mechanical prophylaxis for VTEs after lower extremity total joint arthroplasty. Specifically, we reviewed mechanical prophylaxis after: 1) total hip arthroplasty and 2) total knee arthroplasty. Background: Hallux valgus (HV) is a metatarsophalangeal joint deformity that can be classified as mild, moderate, or severe. Treatment is recommended for pain or severe deformities. Recently, operative percutaneous correction techniques have been performed to treat mild deformities. Materials and Methods: A retrospective, single-surgeon, single-center study of 49 HV percutaneous correction using a modified Reverdin-Isham osteotomy was conducted. HV, intermetatarsal angle (IM), proximal articular set angles (PASA), and American foot and ankle functional score (AOFAS) were assessed pre- and postoperatively by a single operator. Statistical analysis was performed using a Wilcoxon rank test. Medium time of follow-up was 34 months. Results: HV mean value decreased from a preoperative medium value of 35.18° to 14.3° postoperatively, IM mean value decreased from 15.5° to 8.7°, and PASA from 7.2° to 5.25°(p<0.001 for HV and IM, p<0.125 for PASA reduction). Postoperatively AOFAS medium score was 95. Discussion: In our series, functional and clinical results of percutaneous osteotomy without osteosynthesis were comparable to other percutaneous and conventional techniques, both in clinical and radiological findings. High level of patient’s satisfaction and improvement on pain-related symptoms are even better referred to traditional techniques. Modified Reverdin-Isham osteotomy technique differs from the others for translation of metatarsal head after osteotomy; we do not correct PASA angles, but we can obtain more HV and IM correction and include some severe HV. Our results suggest that translation of metatarsal head could give higher HV angle correction. Introduction: The ability to reach functional capacity following knee arthroplasty depends on the strength of the quadriceps and hamstring muscles. Following total knee arthroplasty, weakness of these muscles can persist for up to one year postoperatively; however, this phenomenon is not well-studied in unicompartmental knee arthroplasty (UKA) patients. Therefore, we assessed: 1) quadriceps muscle strength; 2) hamstring muscle strength; and 3) correlation to functional outcomes. Materials and Methods: A review of all patients with medial compartment osteoarthritis treated with UKA at a minimum of one-year follow-up was performed. This yielded 26 patients (32 knees), comprising of eight females and 18 males who had a mean age of 67 years (range, 47 to 83 years). Muscle strength was assessed pre-and postoperatively via dynamometer. Functional outcomes were assessed using Knee Society Scores (KSS). Comparisons of groups were performed by paired t-tests. Results: At a minimum one-year postoperatively, quadriceps muscle strength was 27 Nm (range, 13 to 71Nm) and hamstring muscle strength was 19.5Nm (range, 7 to 81Nm). Quadriceps muscle strength increased by 40% (p=0.002) and hamstring muscle strength by 26% (p=0.057). The mean KSS pain was 97 points (range, 85 to 100 points) and mean KSS function was 90 points (range, 45 to 100 points) at the final follow-up. Range of motion was 125° (range, 110° to 135°) at the final follow-up. The Pearson Correlation Coefficient for postoperative extension strength and postoperative flexion strength to postoperative KSS functional scores were 0.268 and 0.220 respectively. Conclusion: Within one-year following UKA, patients can expect restoration of quadriceps and hamstring muscle strength with a corresponding functional improvement. Although long-term follow-up is warranted to determine sustainability, the short-term results demonstrate excellent restoration of function. Pediatric septic arthritis can be a devastating disease. Often, the diagnosis can be challenging as autoimmune and infectious causes may present in a similar fashion. Thus, we present the case of a five-year-old male patient, from the Pacific coast of Colombia, with chronic morning knee pain and stiffness thought to be caused by an autoimmune disease. He presented with a mild effusion of the left knee, a flexed posture, and limited extension to 25º. Inflammatory markers demonstrated an infectious pattern. Autoimmune markers were negative. A diagnostic arthrotomy and lavage was conducted followed by microbial cultures, cell count, and gram staining. Polymerase chain reaction (PCR) of the joint fluid demonstrated mycobacterium tuberculosis. The patient was treated according to the national protocols and continued on to complete resolution. Infectious arthritis with m. tuberculosis may present in a chronic indwelling fashion with mildly elevated reactants in immunocompetent, previously healthy children even without any risk factors. Presentation of Knee Osteoarthritis in the Emergency Department: A Problem Worth Mentioning? Introduction: Osteoarthritis (OA) of the knee is a progressive debilitating disease affecting more than 27 million Americans. Treatment is often aimed at reducing pain and slowing disease progression. However, patients with significant barriers to healthcare may elect to visit the emergency department (ED) due to OA-related knee pain. The purpose of this study is to provide a detailed analysis of 1) patient demographics; 2) payor type; 3) charges; and 4) discharge status of patients presenting to the emergency department with a primary diagnosis of knee OA. Materials and Methods: The Nationwide Emergency Department Sample from 2009 to 2013 was queried for all patients who presented to the ED with a primary diagnosis of knee OA (ICD-9 CM=715.96) and did not have a concomitant major injury. This yielded 215,253 patients. An analysis of variance (ANOVA) test with a post-hoc Turkey-Kramer test was conducted to assess mean differences of continuous data over time. All categorical data was analyzed using chi-square analysis. Results: The incidence of ED visits dropped significantly between the years 2009 and 2010 (68,661 to 36,846) and plateaued between the years 2010 and 2013. Patients had a mean age of 59.9 years and were primarily women (67.3%). The majority of patients were at the lowest 50% income bracket (68.8%). The Southern US census region had the highest number of ED visits (n=91,995; 42.7%), and Medicare was the primary payor in most cases (n=87,323; 40.7%). The mean charge for ED visits from 2009 to 2013 was $1,368.39, and there was a statistically significant increase in ED-related charges between 2009 and 2013 (p<0.001). The majority of discharges from the ED were routine (n=202,247; 93.8%). Conclusion: While the early management of knee osteoarthritis is largely successful at delaying the need for surgery, there are still many patients who do not receive adequate care and present to the emergency room for non-emergent evaluation. This, along with rising charges for ED visits, is likely increasing resource consumption and the financial impact on the healthcare system. Future efforts should focus on improving access to care for patients with knee OA before it develops into an overwhelming burden. Background: Anterior cruciate ligament tears are an unfortunate, but common, event in the United States, with an estimated 100–300,000 reconstructions performed annually. Limited literature has been published analyzing the reimbursement patterns for the reconstruction of this ligament and, thus, cost-effectiveness studies have relied mainly on data from a limited number of subjects and hospitals. Purpose: The purpose of this study was to perform an epidemiological cost analysis of anterior cruciate ligament reconstructions and to analyze and describe the reimbursement patterns for this procedure that can be used as reference for future cost-analysis studies. We conducted a retrospective review of a large private payers insurance company records to identify patients who underwent ACL reconstruction (ACLR) between 2007 and 2014. Materials and Methods: This was achieved through a structured query of the database with the use of current procedural terminology (CPT) codes. Inclusion criteria for this study were patients housed in the insurer database between the ages of 10 and 59. Reimbursements were calculated at the day of surgery and the 90-day global period. Statistical analysis was based on growth and cohort comparison according to demographic. The consumer price index (CPI) of the Bureau of Labor Statistics was used to calculate inflation. Results: The adjusted mean same-day costs were $11,462 (standard deviations [SD] of $869) for female patients and $12,071 (SD of 561) for males (p=0.07), with no significant difference among same-day costs in either females (p=0.023 for ages 10 to 34 and p=0.037 for ages 35 to 59) or males (p=0.46 for ages 10 to 34 and p=0.26 for ages 35 to 59). The adjusted mean 90-day costs were $14,569 (SD of $835) for females and $14,916 (SD of $780) for males, with no significant difference among 90-day costs in either females (p=0.229 for ages 10 to 34 and p= 0.386 for ages 35 to 39) or males (p=0.425 for ages 10 to 34 and p=0.637 for ages 35 to 39). A matched-age cost analysis demonstrated that gender did not play a significant role in costs (p<0.01 for all groups). Conclusion: In the setting of arthroscopic ACLR, both same-day and 90-day costs do not significantly differ between age-matched males and females. Introduction: Forced-air warming devices have been reported to present a potential risk for surgical site infections (SSIs) and periprosthetic joint infections. Due to a lack of consensus, we reviewed the infection risk of forced-air warming devices. Materials and Methods: A systematic literature review was performed, evaluating overall infection risk and bacterial load. A total of eight studies reporting outcomes from 1,965 subjects were included. Results and Conclusions: There is no current evidence in the orthopaedic literature that forced-air warming devices translate to increased SSIs. Accordingly, these devices should continue to be used for the maintenance of intraoperative normothermia. Background: Non-operative management of the elbow, shoulder, and knee typically includes braces, such as the: static progressive stretch (SPS), turnbuckle, and dynamic. However, a paucity of literature exists comparing these three bracing modalities. Therefore, the purpose of this study was to evaluate the current literature on the various bracing modalities for physicians and patients managing elbow, shoulder, or knee joint complications. Specifically, we compared the use of 1) static progressive stretch, 2) dynamic, and 3) turnbuckle braces for the a) elbow, b) knee, and c) shoulder. Materials and Methods: A PubMed search on dynamic, SPS, and turnbuckle bracing for the elbow, knee, and shoulder joints was performed. Studies that addressed clinical outcomes and relied primarily on the brace for improvement of patient outcomes and not on surgery were included. Because individually-fabricated braces are extremely costly, require great fabrication skill, and are unique to the patient they were specifically designed for, their results are not generalizable to the greater patient population and were, therefore, not included in this analysis. A total of 14 elbow, 24 knee, and 4 shoulder studies met criteria. Results: Elbow—Patients wore the SPS brace for 90 minutes, compared to 8 hours for the turnbuckle and 20 hours for the dynamic brace. The SPS and turnbuckle brace had similar increases in range of motion (ROM) of 37°. The SPS brace was found to provide patients with the greatest reduction in flexion contracture, 26°. There are similar increases in flexion ROM between the SPS and dynamic elbow bracing modalities. Shoulder— The mean duration of use for an SPS was only six weeks compared to the two months required for the dynamic shoulder brace. The dynamic shoulder brace protocol involved upwards of 24 hours per day or night as patients were instructed to wear the brace at all times. Patients treated with both the SPS and dynamic braces had excellent pain outcomes. Knee—The most commonly followed SPS knee brace protocol was one to three sessions per day which lasted from seven to nine weeks, while for the dynamic brace the time period ranged from six to eight weeks. The SPS brace reported a mean increase in ROM of 31°. There was a lack of evidence for the dynamic and turnbuckle knee braces for their accurate assessment. The SPS studies reported the greatest response to flexion improvement with a mean increase of flexion by 22°. Meanwhile, the reported mean flexion increase with a dynamic knee brace was only 7°. Conclusion: Based on the most current literature available, the authors highly recommend the use of SPS for the elbow, shoulder, and knee. Static progressive stretch bracing has an easy patient protocol, a short duration of use, and excellent outcomes. Additionally, the lack of evidence for turnbuckle and dynamic braces is concerning. Overall, the static progressive stretch brace has shown excellent results in the outcomes assessed in this review and should be a first recommendation for patients suffering from elbow, knee, and/or shoulder pathology. Medial-sided elbow pain is becoming more common among pediatric overhead sport athletes. One potential cause of this is a partial or complete tear of the ulnar collateral ligament (UCL). Because the growth plate remains open in many of these athletes, the most common injury experienced is an avulsion at the medial epicondyle. However, although rare, there is a potential to tear the UCL, with the most common tears occurring at the anterior bundle. However, tears to the posterior bundle are quite rare in pediatric patients. We aim to describe the case of a 10-year old boy who was diagnosed with a partial posterior bundle UCL tear and was successfully treated by cessation of throwing activities and physical therapy. He was able to return to baseball 10 months after his diagnosis. Introduction: To determine the effort required to provide a service, the United States Medicare uses Relative Value Units (RVUs). Consequently, higher RVUs are assigned to the procedures or services that require more effort, which ultimately means the physician will be properly compensated for the additional effort required. In total ankle arthroplasty (TAA), revision cases usually are more technically challenging and require more effort than primary TAA. Therefore, the purpose of this study was to compare the: 1) RVUs; 2) length-of-surgery; 3) RVU per unit of time between primary and revision total ankle arthroplasty; and 4) the individualized idealized surgeon annual cost difference analysis. Materials and Methods: We utilized the American College of Surgeons, National Surgical Quality Improvement Program database from 2008 to 2015 to identify patients who underwent either a primary Current Procedural Terminology [CPT]: 27702) or revision (CPT: 27703) TAA. There were a total of 653 patients, 586 of which underwent a primary, and 67 who underwent a revision, TAA. The mean RVUs, length of surgery (in minutes), and RVU per minute, were calculated. Dollar amount per minute, per case, per day, and per year, to find an individualized idealized surgeon annual cost difference, were also calculated. An analysis of variance was used to compare variables between primary and revision TAA. A p-value of less than 0.05 was used to determine statistical significance. Results: The mean RVU was significantly higher in revision versus primary TAA (16.93 vs. 14.41, p=0.001). However, there was no significant difference in the mean lengths of surgery between primary and revision TAA (160 vs. 157 minutes, p=0.613). Additionally, the mean RVU per minute was significantly higher in revision versus primary TAA (0.13 vs. 0.10, p=0.001). Conclusion: Based on the results of this study, it appears that revision TAA cases are appropriately assigned a higher RVU per minute for performing them as they require more effort and are more challenging compared to the primary TAA. Furthermore, not only did the revision cases have lower mean lengths of surgery, but they also maintained a higher RVU per minute. Therefore, orthopaedists can use this information to further help them yield the best potential practice design. Have the Yearly Trends of Total Hip Arthroplasty in Ankylosing Spondylitis Patients Decreased? Introduction: Ankylosing spondylitis (AS) is characterized by spinal inflammation and structural damage, primarily to the axial skeleton and sacroiliac joints. Between 25% and 70% of patients may experience progressive peripheral joint involvement, which, despite advancement in pharmacologic therapy, may necessitate surgical intervention. Total hip arthroplasty (THA) yields improved pain and functional outcomes for AS patients with hip involvement. It is unclear whether the annual rates of patients undergoing THA have changed due to newer pharmacologic management. Therefore, the purpose of this study was to evaluate the annual trends of AS patients who underwent THA. Specifically, we evaluated: 1) the annual trends of THAs due to AS in the United States population, and 2) the annual trends in the proportion of THAs due to AS in the United States. Materials and Methods: This study used the Nationwide Inpatient Sample to identify all patients who underwent THA between 2002 and 2013 (n=3,135,904). Then, an additional query was performed to identify THA patients who had a diagnosis of AS, defined by the International Classification of Disease 9th revision diagnosis code 720. The incidence of THAs with a diagnosis of AS in the United States was calculated using the United States population as the denominator. Regression models were used to analyze the annual trends of AS in patients who underwent THA. Results: Review of the database identified 5,562 patients with AS who underwent THA. The overall annual prevalence of THA in the AS population significantly decreased during the 12-year study period from 2.24 per 1,000 THAs in 2002 to 1.73 per 1,000 THAs in 2013 (R2=0.445; p=0.018). Conclusion: Annual THA trends in AS patients have significantly declined from 2002 to 2013. This decline may be attributed to improvements in medical management that delay the time from disease onset to requirement of a THA. Since THA is an option with advanced disease, the observed declining trends may indicate the efficacy of current medical management. Background: While tennis is one of the most popular sports in the world, it predisposes those who play it to a number of injuries. Several studies have shown sprains/strains to be the most common tennis-related injury. However, data is limited regarding trends in tennis-related sprains/strains. Therefore, this study evaluated: 1) trends in tennis-related sprains/strains; 2) trends in tennis-related sprains/strains by age; and 3) trends in the most common tennis-related sprained/strained body parts. Materials and Methods: This study utilized the National Electronic Injury Surveillance System (NEISS) database to collect all tennis-related sprains/strains that occurred between January 1, 2010 and December 31, 2016. The annual trends of overall tennis-related sprains/strains were evaluated. Then, the trends in tennis-related sprains/strains by age groups (less than 14 years, 14 to 29 years, 30 to 54 years, and 55 years and older) were compared, and the tennis-related sprains/strains injuries of different body parts were evaluated. Results: A total of 48,638 tennis-related sprains/strains occurred during the study period. There was a decrease in the annual estimated weights of sprains/strains, from 8,433 in 2010 to 5,326 in 2016 (p=0.094). When stratified by age, tennis-related sprains/strains occurred in 3,295 (6.8%) patients younger than 14 years, 15,169 (31.2%) patients between the ages of 14 and 29 years, 16,814 (34.6%) patients between the ages of 30 and 54 years, and 13,360 (27.5%) in patients 55 years and older. Also, the trends tended to decrease for every age group, but this was not statistically significant. Furthermore, the most common tennis-related sprains/strains involved the ankle (30.2%), knee (13.7%), lower leg (11.3%), wrist (10.3%), lower trunk (8.5%), shoulder (8.1%), foot (4.9%), and elbow (2.5%). There was a significant decrease in the annual trends of ankle sprains/strains over the study’s time-period (p=0.003). Conclusion: Sprains/strains were the most common tennis-related injuries, and the trends decreased over time, regardless of age. 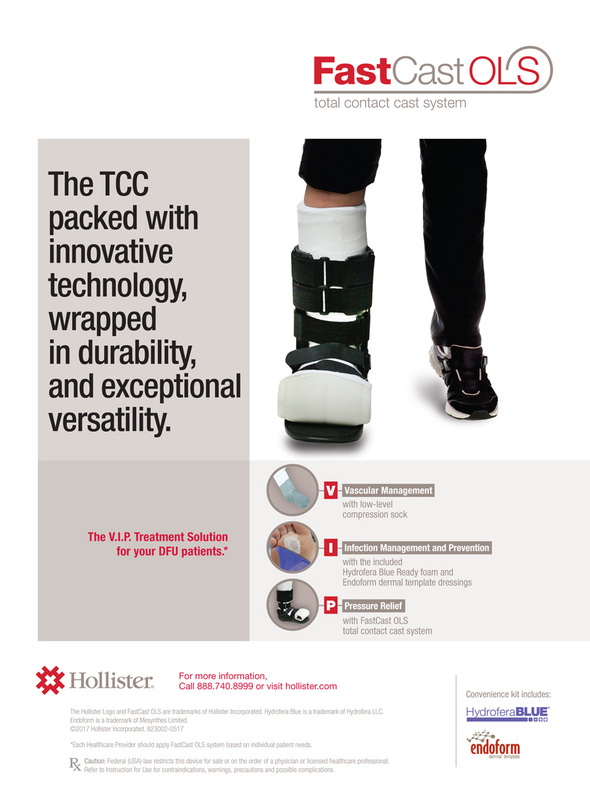 The lower extremity was more commonly injured than the upper extremity, with the ankle being the most common location. Understanding incidence and trends of tennis-related sprains/strains may help elucidate uncertainty pertaining to tennis injury statistics, ultimately improving the ability-of-care providers to work with players to develop preventive measures and better guide treatment. Introduction: Hemiarthropalsty (HA) for proximal femur fractures (PFF) has shown good results in the elderly patient population. 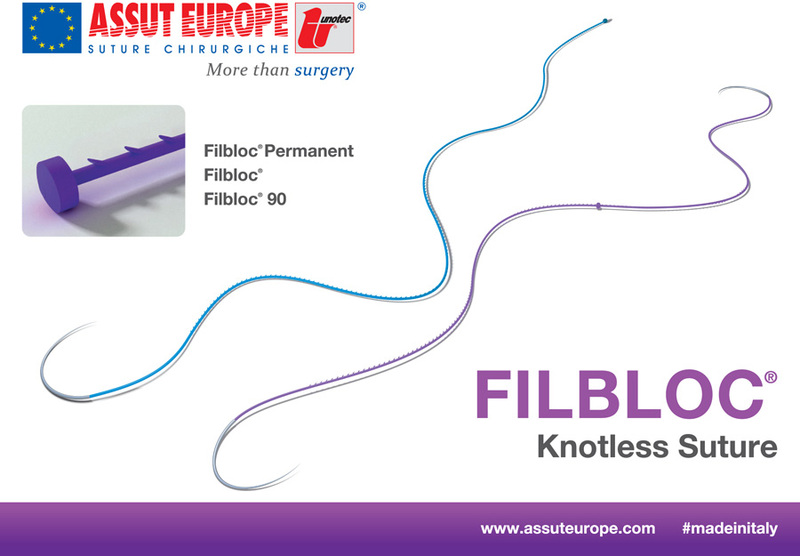 It has also been used to treat fractures of the proximal femur in patients with metastatic bone disease (MBD). Nonetheless, complications still occur in both patient populations and their effect on 90-day costs can be a great burden to the healthcare system. Thus, the purpose of this study was to evaluate and compare the outcomes and costs of HA for PFF in patients with bone metastasis versus those without it. Materials and Methods: The Medicare standard analytical files were queried through International Classification of Diseases and Related Health Problems, ninth edition (ICD-9) codes. A case-control study comparing PFF in patients with and without MBD treated with HA was performed. Medical and surgical complications, mortality, discharge disposition, and length of stay were analyzed and compared. Outcomes were tracked for the 90-day period after surgery. Statistical analysis was performed through odds ratios, unpaired t-tests, and chi-squares. Results: Patients treated with HA for fractures with MBD have higher rates of medical complications compared to fracture patients without MBD. Mortality was found to be significantly greater in the MBD cohort (8.8% vs. 2.3%), as were medical complications and length of stay. Both charges and reimbursements were also significantly greater in the MBD cohort. Conclusion: Patients who undergo hip HA for MBD are at increased risks of medical complications compared to patients who undergo HA for fractures without metastasis, and surgeons should be aware of these increased risks. Introduction: Total knee arthroplasty (TKA) is a commonly-performed orthopaedic procedure in the United States. However, inadequate postoperative pain management following TKA has been associated with a number of negative consequences, including chronic postoperative pain requiring long-term opioid use. Multimodal pain control is a recently-popularized means of maximizing analgesia and postoperative outcomes. We aimed to evaluate the outcomes of a multimodal pain regimen incorporating diclofenac, including: 1) length of stay (LOS); 2) pain intensity; and 3) opioid consumption in primary TKA patients. Materials and Methods: A prospective cohort study was performed. All patients scheduled for primary TKA by a single surgeon between March 1, 2017 and August 31, 2017 were screened for study involvement, yielding 46 consecutive patients (52 TKAs). This study group was treated with a postoperative regimen of intravenous (IV) diclofenac, in addition to a perioperative pain control regimen including adductor canal blockade (ACB) and periarticular multimodal drug injection (PMDI). Postoperative outcomes in this group were compared to those of a matched cohort of 78 patients (88 primary TKAs) who had previously been treated with the same perioperative pain control regimen. Results: Patients prescribed a postoperative diclofenac regimen had lower mean LOS (2.10 vs. 2.33 days; p=0.053) and lower 24-hour postoperative pain intensity (76 vs. 104; p=0.056) as compared to the untreated group. The diclofenac-treated group had a significantly lower opioid consumption in the first 24 hours postoperatively than did their untreated counterparts (39.8 vs. 53.1 morphine milligram equivalents [MME]; p=0.041). In addition, 17 patients (18 TKAs, 35%) in the diclofenac group had zero opioid requirements during the first 12 hours postoperatively, and 12 of these patients (13 TKAs, 25%) continued to not require any opioids through the first 24 hours postoperatively. Discussion: In the midst of the rapidly-increasing rates of TKA in the US, multimodal pain control has emerged as an extremely effective means of maximizing postoperative patient outcomes. To our knowledge, this is the first study to evaluate the postoperative outcomes of TKA patients treated with a regimen of IV diclofenac. We demonstrate shorter LOS, decreased 24-hour pain intensity, and significantly decreased 24-hour opioid consumption in patients treated with adjunctive IV diclofenac compared to patients managed with our institution’s standard perioperative regimen. Cellular Therapies in Orthopaedics: Where Are We? The orthopedic field has experienced several major practice-changing pivotal shifts in the past several decades, such as the invention and application of the arthroscope or the implementation and advancement of joint arthroplasties. Most of these previous breakthroughs have focused on surgical techniques and devices. However, the next major advance in the field is likely to be related to biologic treatments. Although still in its early stage of development, orthopedic regenerative medicine, including cellular therapies, represents a great opportunity, since we are only beginning to understand their biological potential. The main challenge in this pathway is to translate the promising results obtained by basic scientists to clinical practice. This work reviewed the market and clinical evidence, as well as future perspectives, concerning cellular therapies in orthopedics. Van Neck-Odelberg disease (VND) is a benign skeletal overgrowth of the ischiopubic synchondrosis (IPS) in prepubescent patients. There is a paucity of long-term follow-up data and reviews on management decision-making. We report on a 15-year-old female, with a history of sickle-cell disease (HbSS), presenting with unilateral groin pain. Patient’s physical examination, radiographs, and a literature-review determined a diagnosis of VND. Conservative treatment was issued. Clinical symptoms resolved at three months, followed by complete lesion resolution at three years. Additionally, a search of Medline (PubMed), EMBASE, and OVID databases was performed. Reports including VND/IPS diagnosis, treatment, or follow-up decisions were identified. Systematic-review found 17 relevant articles, reporting on 29 patients. Patients presented with groin (51.7%) or buttock (20.7%) pain, and were diagnosed using X-ray (n=23) and magnetic resonance imaging (MRI) (n=17). Twenty-five patients were treated conservatively, with two (8.0%) reports of surgical intervention. Average follow-up was 6.25 months. Our case report and systematic-review support conservative treatment for VND. Knee osteonecrosis is a rare, yet debilitating disease that can lead to knee joint destruction and can be associated with significant pain and disability. Various imaging modalities have different roles in the diagnosis, staging, management, and determination of the prognosis in knee osteonecrosis. Plain radiographic images can show gross joint destruction and secondary arthritic changes. In addition, magnetic resonance imaging (MRI) has become the gold-standard imaging modality to diagnose osteonecrosis. Multiple classification systems have been developed for knee osteonecrosis based on these imaging modalities. The goal of these systems is to stage the disease and guide management. Better understanding of the pattern of the lesions and its morphometric characteristics may allow surgeons to reach a better consensus regarding the timing of surgical treatment, choice of implant, and overall disease prognosis in these unique patients. Due to the relative paucity of evidence, this review was conducted to evaluate different radiological classification systems utilized in osteonecrosis of the knee joint. Is Orthopaedic Department Teaching Status Associated with Adverse Outcomes of Primary Total Knee Arthroplasty? Introduction: Although resident physicians have a critical role in the daily management of patients, based on their limited experiences, they are thought to potentially create inefficiencies in the hospital. With changes set forth by the Comprehensive Care for Joint Replacement (CJR) program, both teaching and non-teaching hospitals are directly compared on efficiency and outcomes. Therefore, the purpose of this study was to compare outcomes between teaching and non-teaching hospitals in the state of New York. Specifically, we compared: (1) duration of stay; (2) cost of admission; (3) disposition; and (4) 90-day readmission for elective primary total knee arthroplasty (TKA). Materials and Methods: Using the New York Statewide Planning and Research Cooperative System (SPARCS) database, 133,489 patients undergoing primary total knee arthroplasty (TKA) between January 1, 2009 and September 30, 2014 were identified. Outcomes assessed included lengths-of-stay and cost of the index admission, disposition, and 90-day readmission. To compare the above outcomes between the hospital systems, mixed effects regression models were used, which were adjusted for patient demographics, comorbidities, hospital, surgeon, and year of surgery. Results: Patients who underwent surgery at teaching hospitals were found to have longer lengths of stay (b=3.4%, p<0.001) and higher costs of admission (b=14.7%; p<0.001). Patients were also more likely to be readmitted within 90 days of discharge (OR=1.64; p<0.001). No differences were found in discharge disposition status for teaching versus non-teaching hospitals (OR=0.92; p=0.081). Conclusions: The results from this study indicate that at teaching hospitals, a greater number of resources are needed for primary TKA than at non-teaching hospitals. Therefore, teaching hospitals might be inappropriately reimbursed when compensation is linked to competition on economic and clinical metrics. Furthermore, based on this, optimizing reimbursement might inadvertently come at the expense of resident training and education. While some inefficiencies exist as an inherent part of resident training, limiting learning opportunities to optimize compensation can potentially have greater future consequences. Introduction: This study evaluated differences in: 1) total episode payments, 2) probability of hospital readmission, 3) probability of inpatient rehab facility (IRF) and utilization, and 4) probability of skilled nursing care facility (SNF) utilization in patients who had disuse atrophy and underwent a total knee arthroplasty (TKA) and either did, or did not, receive preoperative home-based neuromuscular electrical stimulation (NMES) therapy. Materials and Methods: We used the Medicare limited dataset for a 5% sample of beneficiaries from 2014 and 2015 to construct episodes-of-care for TKA (DRG-470) patients with disuse atrophy who underwent a TKA during the 30 days prior to hospital admission and 90 days post-discharge. Patients were stratified into those who either did or did not receive pre- and postoperative NMES therapy. An ordinary least square (OLS) model was used to estimate the impact of NMES on total episode. Linear probability models were used to estimate the impact of NMES on SNF or IRF utilization and readmission. Results: A $3,274 reduction in episode payments for patients who used preoperative NMES versus those who did not (p<0.001) was demonstrated. The probability of readmission was 12.7% lower for those who used preoperative NMES therapy versus those who did not (p=0.609). The probability of utilizing IRF and SNF was 56.7% (p=0.061) and 46.4% (p=<0.001) lower for those who used pre- and postoperative NMES versus those who did not, respectively. Conclusion: Significant reduction in total episode payments and SNF utilization for TKA patients with disuse atrophy who had NMES therapy was demonstrated. Can Stem Version Consistently Correct Native Femoral Version Using Robotic Guidance in Total Hip Arthroplasty? The purpose of this study is to investigate whether robotic guidance in total hip arthroplasty (THA) can consistently correct native femoral version. One hundred seventy-five consecutive patients who underwent MAKO® (Stryker, Kalamazoo, Michigan) robotic-guidance THA were included in the study. The study population had a mean age of 57.9 years and a mean body mass index (BMI) of 30.41. Forty-eight percent of the population was male and 74% of the procedures were performed through an anterior approach. Robotic guidance in THA was effective in correcting native femoral version toward a target of 15°. This can be achieved using both the anterior and posterior approach; it is not affected by BMI. Copyright: 1997-2018, All Rights Reserved.